Upgraded two Dell 1950 III servers from 2.0 GHZ Xeons to to 3.16 for $65.00 (32.50 a piece). Came with some thermal paste, but I already had some from another upgrade. These processors use LGA, Land Grid Array, so you don't have to worry about bent pins. They came in a padded envelope and each one was wrapped in an anti-static bag. All Processors were the same SLANP which I guess makes them matched. Which was nice. They don't have hyper-threading, but I don't think hyper-threading actually helps that much for my applications. I run these alongside a pair of 5670s, 12 cores running nearly the same speed give me one third more performance, which is what you would expect from 12 vs 8 cores. A great CPU for extending the life of a 771 Xeon server. x5460 works great in a 775 socket board with mod. Excellent upgrade for little money! 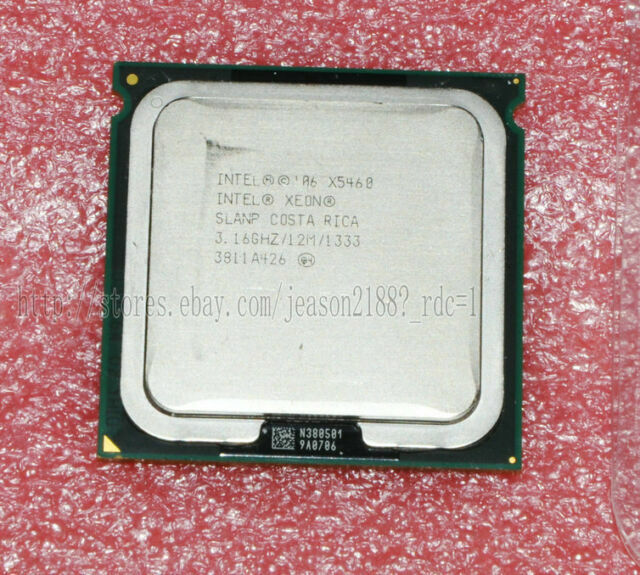 To upgrade its system LGA 775 with this CPU and the "Intel CPU LGA 771 to 775 socket Adapter MOD sticker Xeon Quad to Core 2 upgrade". The performance boost is noticeable good. A great upgrade for little money!